This picture was taken in October 2008 in Bellmead, Texas (a little community just outside of Waco). 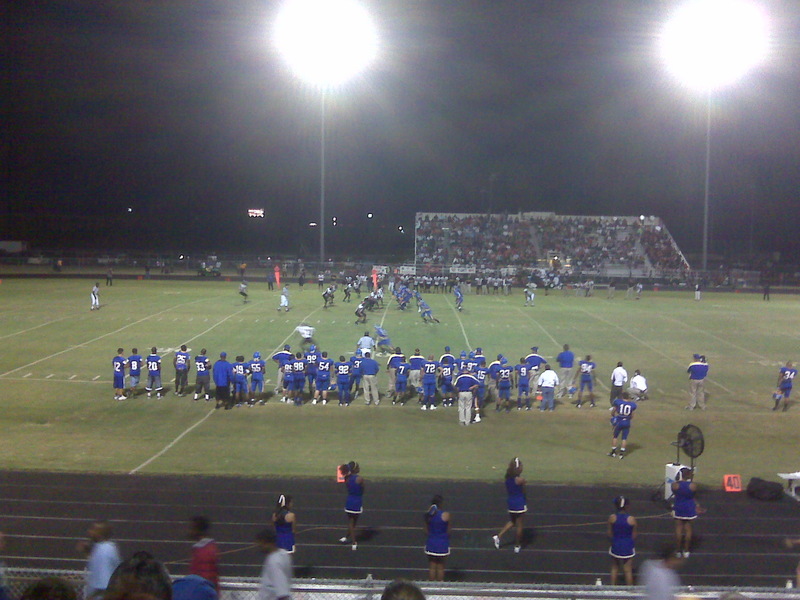 Randa and I went to a high school football game one Friday night while we were in Texas on vacation. The school, La Vega High School, is the one that Randa was teaching at when we met, fell in love, and got married. The church I worked at was also in that community and I worked with many students who attended that school. On fall Friday nights in Texas, the normal rhythm is defined by high school football. I miss that!